The Janka hardness test measures the resistance of a sample of wood to denting and wear. 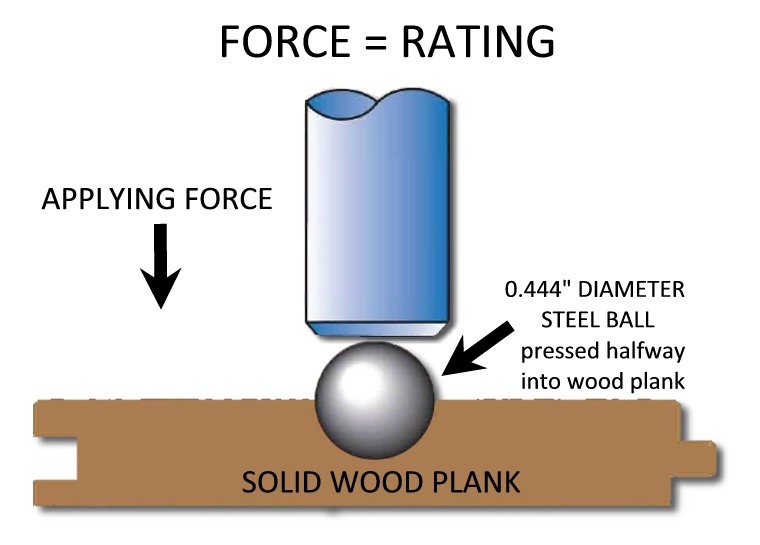 It measures the force required to embed an 11.28mm (.444″) steel ball into wood to half the ball’s diameter. This method leaves an indentation. A common use of Janka hardness ratings is to determine whether a species is suitable for use as flooring. Numax Tools currently only offers the SFL618 in its flooring line. This nailer is designed for 1/2″ – 3/4″ solid tongue and groove flooring ranging from 0 – 1750 on the Janka Scale. Please refer to the graphic below for examples of flooring for which this pneumatic nail gun can be used. For all other flooring applications, visit Freeman Tools. 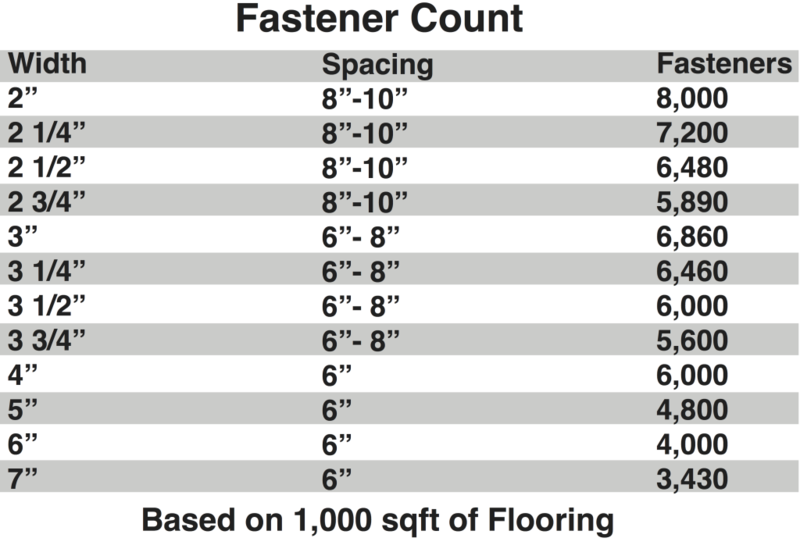 Before starting flooring installation, make sure the size of the foot that is connected to the nailer matches the size of the flooring being installed. Then ensure that you have the correct length staple or cleat for the flooring and sub-flooring being nailed into. While nailing, be certain the groove is inserted into the tongue of the previous board and the staple/cleat is being fired into the tongue of the board. The power of the mallet hitting the nailer should ensure that the board being fastened is pressed firmly up against the previous board. 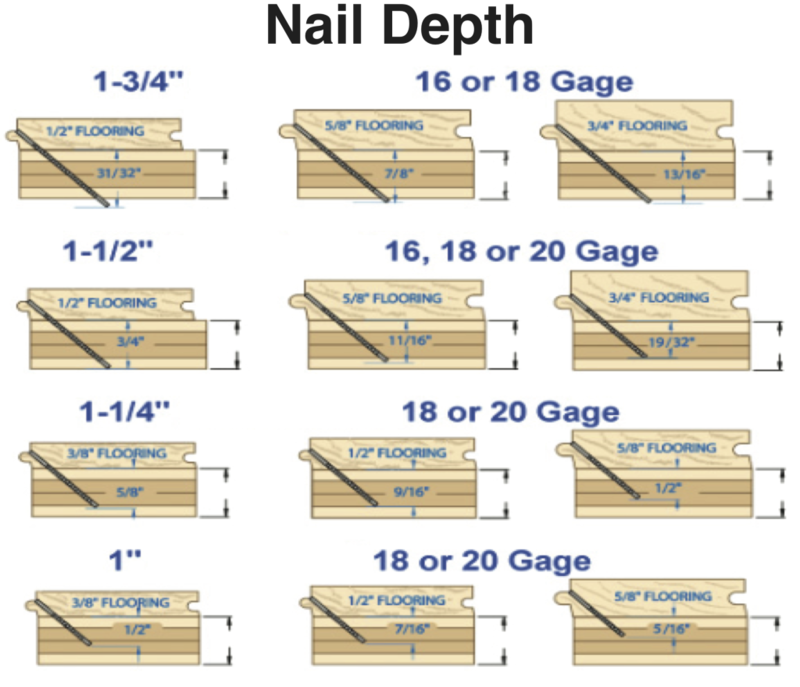 When installing, flooring nails should be spaced every 8-10″ for boards 2″ – 2-3/4″ wide, every 6-8″ for boards 3″ – 3-3/4″ wide, and every 6″ for boards 4″ – 7″ wide.